An issue that isn’t addressed much is chin and neck fat. It is a common problem for many people and a lot of times, even those who are slender or lose weight, still have extra padding or fat under their chin. Trying to get rid of that unwanted fat or padding have includes dieting, creams, chin and neck exercises – most without the results expected. When nothing else works, the next option is to remove the fat with alternative treatments. Liposuction or surgery is expensive and invasive. 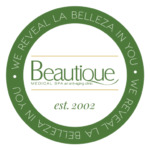 Beautique is proud to offer a premium, non-surgical option. Kybella® is one of our most favorite products. Kybella® is injected strategically into the areas under the chin and neck to literally melt that fat away. is a prescription medicine used in adults to improve the appearance and profile of moderate to severe fat below the chin (submental fat), also called “double chin.” is administered as a simple, nonsurgical treatment that is injected directly into to the areas of fat under the chin and neck. The active ingredient in KYBELLA® is synthetic deoxycholic acid. Is KYBELLA® Right for Me? If you have tried to get rid of your chin and neck fat without success or are unhappy with your facial profile, then Kybella® may be the solution for you. Many things can contribute to “a double chin” such as weight gain, genetics, and age. Kybella® is a non-invasive procedure that can aid in the permanent correction of “double chin”. Beautique Medical Spa offers a complimentary consultation to allow you the opportunity to tour our facility, meet with a consultant and determine a customized treatment plan that fits all your needs. Please complete this form and we will contact you to schedule an appointment. Or call us at (956) 664-1234. We value your privacy. We will never sell or rent your email. The active ingredient in Kybella® is Deoxycholic acid which is a naturally occurring molecule in the body that aids in the breakdown and absorption of dietary fat. When injected into the subcutaneous layers beneath the chin, Kybella®destroys fat cells, resulting in a noticeable reduction in fullness under the chin. Once destroyed, these cells can no longer store or accumulate fat, so further treatment is not expected once you reach your desired aesthetic goal. Kybella® can cause serious, but not typical, side effects including nerve injury in the jaw that can temporarily cause an uneven smile or facial muscle weakness (experienced by 4 out of 100 people in clinical studies) and trouble swallowing (experienced by 2 out of 100 people in clinical studies). In clinical studies, nerve injury in the jaw resolved on its own in a median of 44 days (range of 1 to 298 days), and trouble swallowing resolved on its own in a median of 3 days (range of 1 to 81 days). Thats why it is important to have the treatment administered by a trained and knowledgeable person. Side effects are usually temporary and often resolve on their own. When will I see results from a KYBELLA® treatment? How long does KYBELLA® last? Kybella® results lasts years. Since the fat cells are destroyed – additional treatments after desired results are not expected. Multiple treatments may be needed to achieve results desired. No more than 6 treatments are recommended. The cost will depend on how many treatments are needed. Use the contact form and we can answer any additional questions or book you a consultation. Your individual plan will be based on a number of factors including your goals and physical anatomy. Our service providers will work with you to determine the best course of treatment. Why choose Beautique Medical Spa for KYBELLA®? For natural-looking, predictable results and safe treatment with any injectable, a provider must have specific training, a thorough knowledge of facial anatomy and a keen eye for aesthetic balance. All of our doctors and staff bring years of surgical training and experience with helping patients restore or improve their facial appearance through non-surgical facial rejuvenation treatments. As one of the first providers in the Rio Grande Valley, we are one of the oldest Medical Spas offering Botox Cosmetic, Juvederm Dermal Filler, and Kybella. How can I find out more about KYBELLA®? If you are interested in learning more about Kybella, please fill out the contact form and we can answer your questions or book you a consultation.